How to Pass The Drift League Pro Am Tech Inspection! How to Pass Tech Inspection for The Drift League and Other Events! As the Technical Director for The Drift League, I was pleased that the quality of many of the Pro-Am cars that myself and Nikita Rushmanove checked out was high and we have plenty of solid cars in the series. On the other hand, I was dismayed at the fact that NONE of the cars we inspected passed tech the first time through! Granted that most of the cars only had minor issues that were quickly corrected but the fact that not a single car passed the first time is compelling me to write a little bit about how to make sure your car passes tech. This can save you the pain of showing up to an event and not being allowed to run! Apparently, our tech must be more strict than what other Pro-Am series are doing in their scrutineering as just about all of the cars we checked had passed some other groups tech in the past. The objective of our inspection is two-fold; since our series is being run at Irwindale and is going to be at high speeds with exposure to unforgiving walls, we had to make sure the cars are safe as the potential for higher speed crashes into harder barriers than your typical So-Cal pro-am exist. Secondly, we would like our participants to get used to the higher level of inspection and car prep that Pro-2 and Pro-1 will demand. In addition, these tips will help everyone who participates in motorsports events from track days to road racing pass tech! We were impressed with the build quality and tidiness of many of the car entered in our series! Despite this everyone needed a little bit of help to pass inspection. The first thing that you can do to ensure a seamless event for you and to maximize your track time is to make it to your organization’s tech day or Pre -Tech. We had one for The Drift League at MotoIQ HQ. Nikita Rushmanov and I looked over about half the field before the event. Every single car that we did a pre-tech inspection on flew through tech at the track on the day of competition for that reason. We also give competitors the option of making an appointment before the event where they could bring the car to MotoIQ HQ at some other time for us to inspect it. Pre-Inspection is a great tool for you to use to avoid race day stress. Formula Drift and road racing organizations like SCCA and NASA have similar programs. 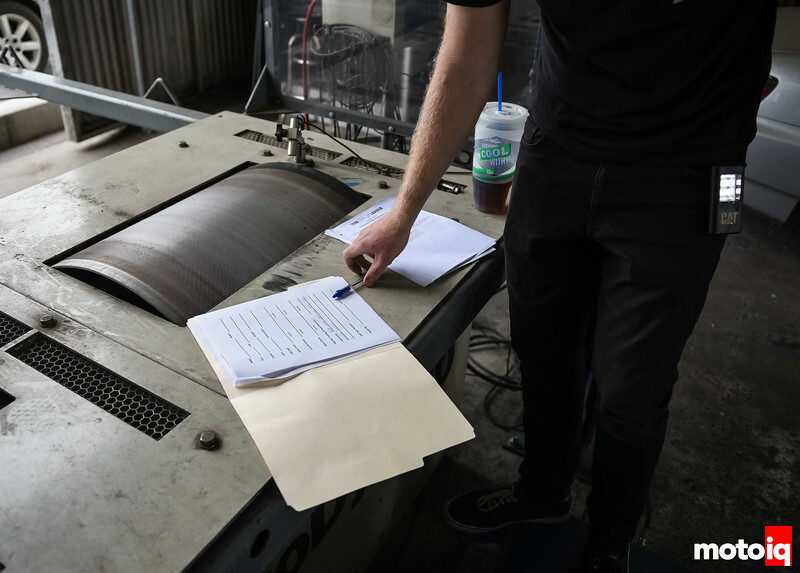 Every car running in The Drift League is issued a log book where we note the results of inspections and what we are waving and what issues must be corrected for the car to run. The logbook gives the car’s tech history and makes subsequent tech inspections very fast and easy. The main thing you should do to avoid tech inspection blues is to do your homework and read the rules! We were amazed that the owners of some of the few cars that had a hard time passing tech seemingly had little comprehension of the rules and did not read the rulebook when building their cars! This may seem odd but some of the better-built cars also had some glaring issues that could have been fixed with a quick read through of the rules. Reading is your friend! Another tip is to get a copy of your organization’s tech checklist and to do a tech inspection of your own car before taking it to be inspected. For The Drift League, we are pretty reasonable and sometimes will issue waivers on certain rules issues if they are not an unfair performance advantage or do not impact safety. Any waivers are noted in the cars log book so they will not be an issue in future inspections or in the case of a protest. 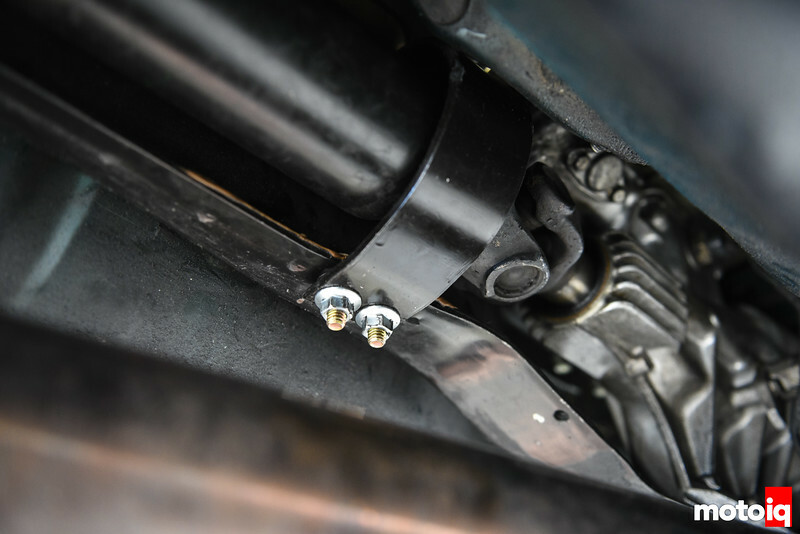 An example in our rules it clearly states that all cars must have a driveshaft safety loop within 6″ of the forward most U-Joint. Quite a few cars came to tech day with no loop! We did issue loop position waivers on a few cars whose under tunnel configuration would not allow the loop to be within 6″. This is an example of a tech inspection waiver.